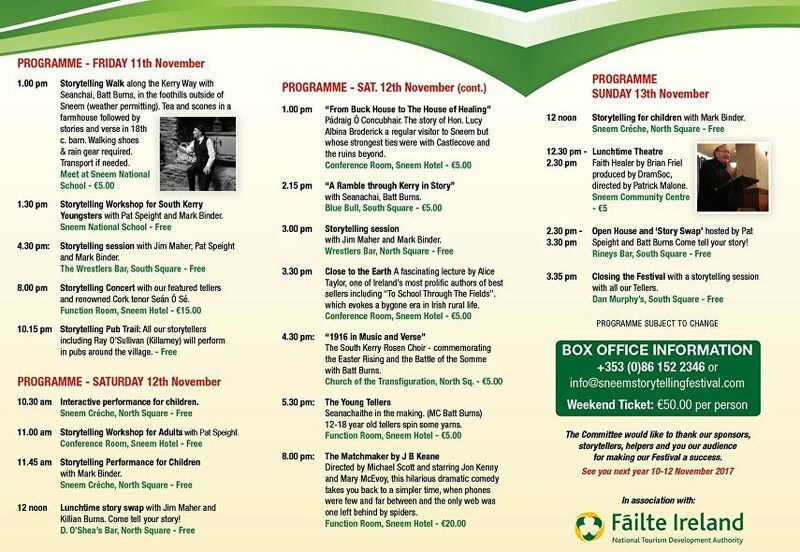 Jim will be performing at the fifth Sneem International Storytelling and Folklore Festival which takes place from Friday 11th to Sunday 13th November 2016 in the charming colourful village of Sneem on the Ring of Kerry and the Wild Atlantic Way. He will be performing throughout the weekend along with Rhode Island’s famous author and teller Mark Binder, Cork’s Pat Speight as well as Kerry’s Batt Burns. They will all perform along with a guest performance by singing legend, Seán Ó Sé.